"We have come to know and believe the love which god has for us, God is love, and the one who abides in love, abides in God, and God abides in Him." Trinity. They don’t just quote scripture. They have a different countenance that only comes from abiding in His Presence. They spend more time fellowshipping alone with our Lord, than they do with each other in church activities. They are the ones who actually abide in His Presence more than one another’s. When I encounter these rare believers, they speak of what God has been speaking to their hearts through His Word while abiding. They aren’t quoting each other or discussing their activities, and how busy they have been. Their hearts overflow with a love and gratitude for the Love of their life. It isn’t a cold religious experience. They cannot keep inside of them the love that has been imparted to them from abiding in the Love they have come to know and believe. They aren’t taught to witness; they can’t help but share the incomprehensible love God had for each one of us. So few ever experience what John came to know and believe, and defined himself as: " The disciple who Jesus loved." This Christmas let us pursue something far greater than the madness we create for ourselves in His name. Let us seek with our all to spend time alone with our Savior, the Messiah, so we might receive the Greatest Gift of all, to come to KNOW and BELIEVE the love God has for each one of us individually. Then we will be able to give to one another the greatest gift of all, His love! "UNTO US A SAVIOR IS BORN!" 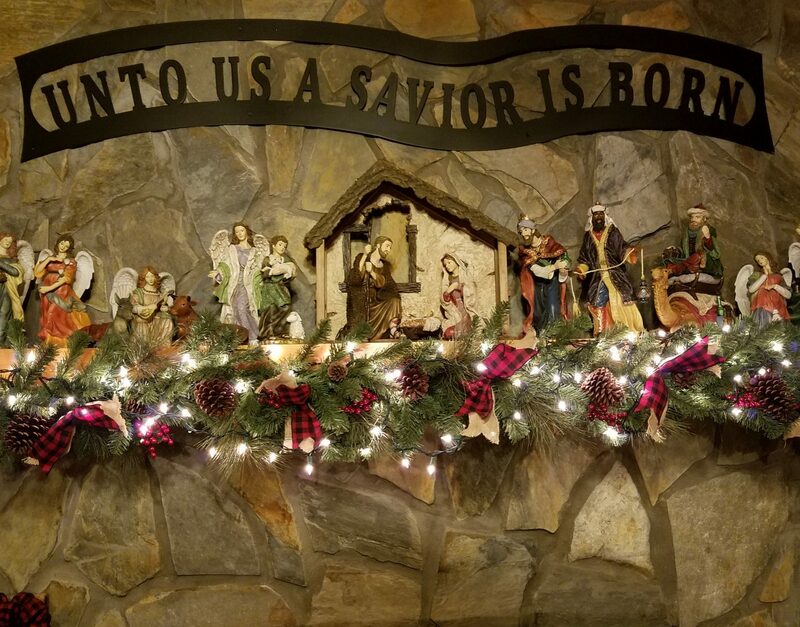 The mantle above my fireplace proclaims the good news to all!